Pamlico Arts presents a photography exhibition at New Village Brewery, April 13: Portraits of Pamlico. 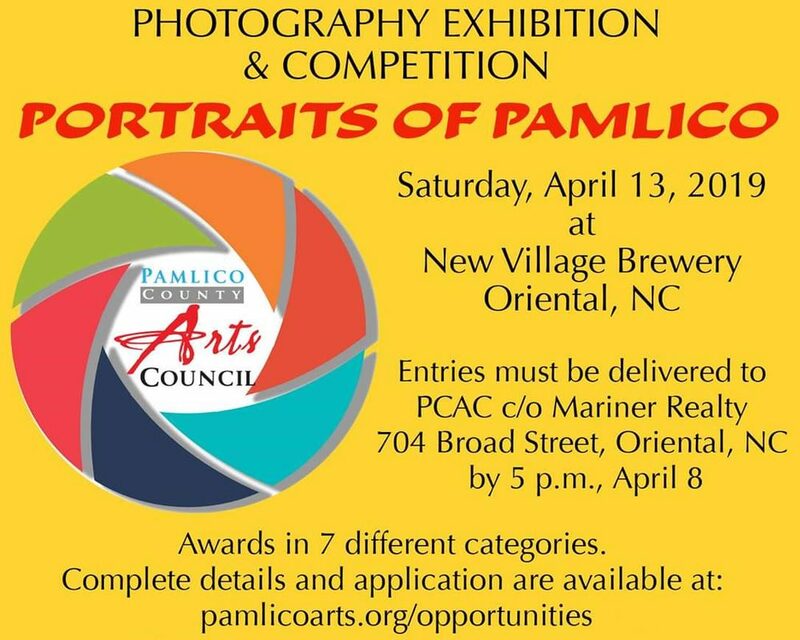 Pamlico Arts is looking for photos that capture the essence – the many sides, scenes, and faces – of Pamlico County. Amateur and professional photographers are invited to submit their work in seven different categories – Scenic, Nautical, Wildlife, Pets, Portrait, Still Life, Photojournalism – in black & white, color, or both. Work will be displayed at the Brewery, Saturday April 13. Awards will be given for best color and best black & white photo in each category. Pamlico Arts members and students 18 and younger receive discounts on entry fees. Renowned professional photographers will jury the work. Download the rules and registration information here.